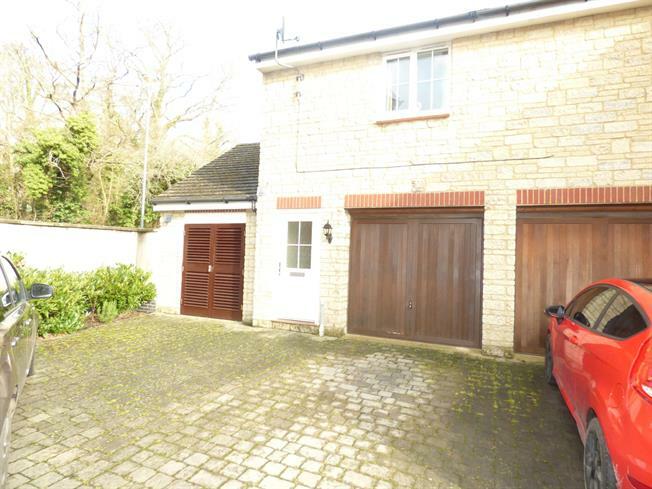 2 Bedroom Semi Detached House For Sale in Swindon for Offers in excess of £165,000. Taylors Estate Agents are delighted to bring to the market this two bedroom coach house with NO ONWARD CHAIN. Presented well throughout the property comprises, entrance hall and stairs, living/dining area, kitchen with integrated white goods to include oven and hob, fridge freezer and dishwasher, two double bedrooms with built in wardrobe to one of the rooms and bathroom with shower over bath, the coach house further benefits a utility area within the garage space and has parking to the front. The property is located within a gated courtyard and overlooks the Blunsdon Abbey.